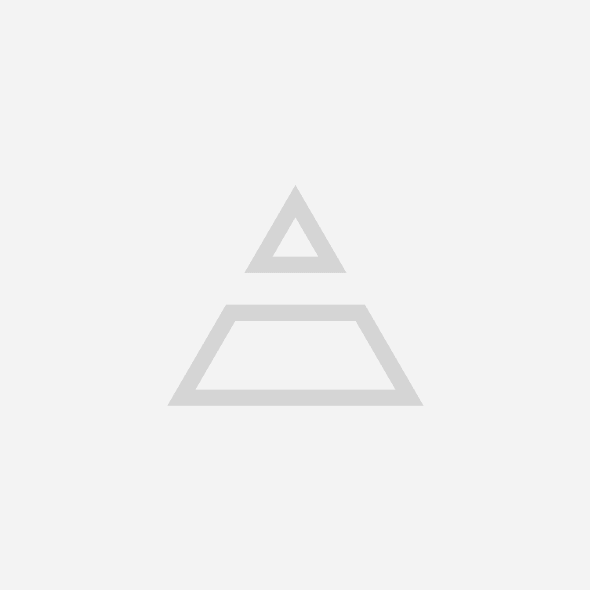 What an eye-cacher! 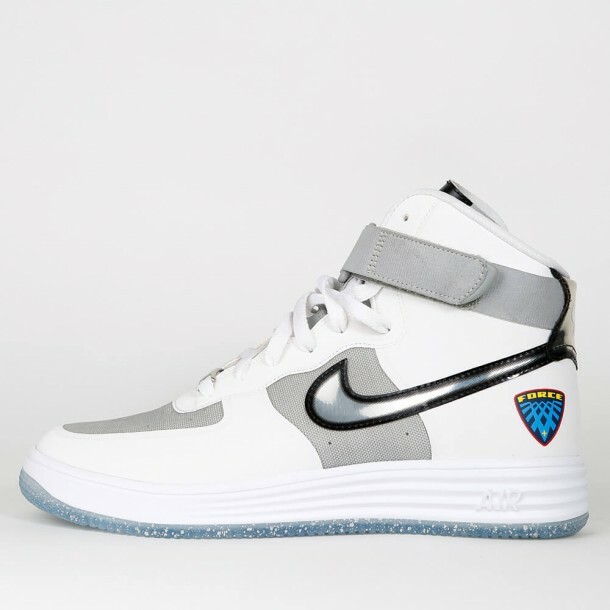 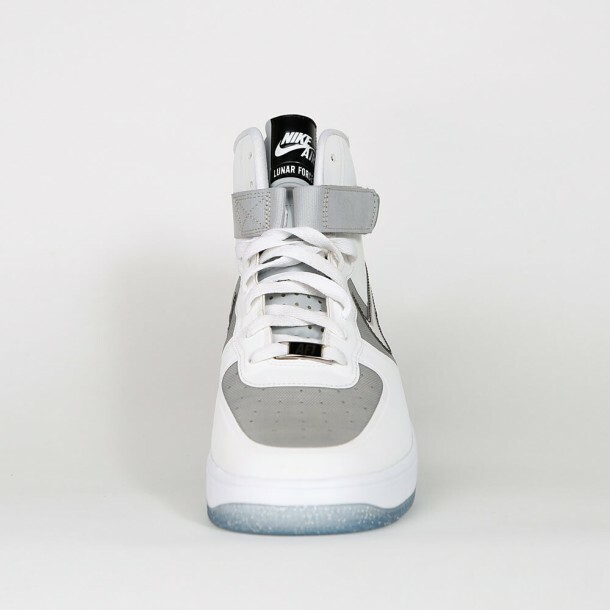 The Nike Lunar Force 1 Hi Wow QS is absolutely outshining the competition with its futuristic design. 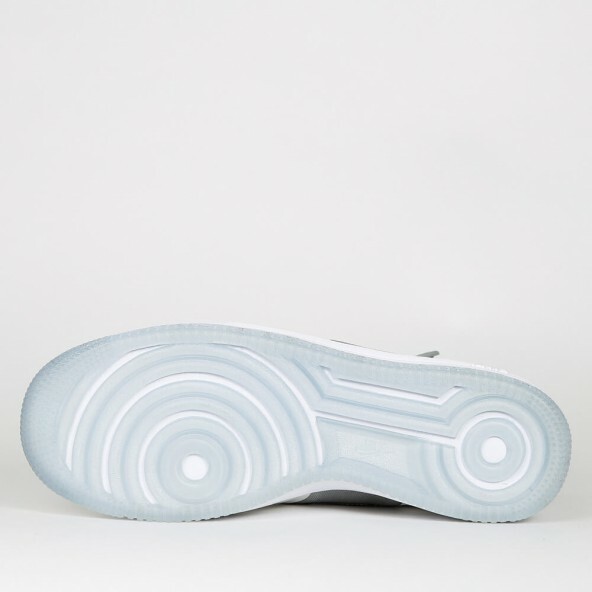 The sole is designed in a spacy blue colorway with white flakes. 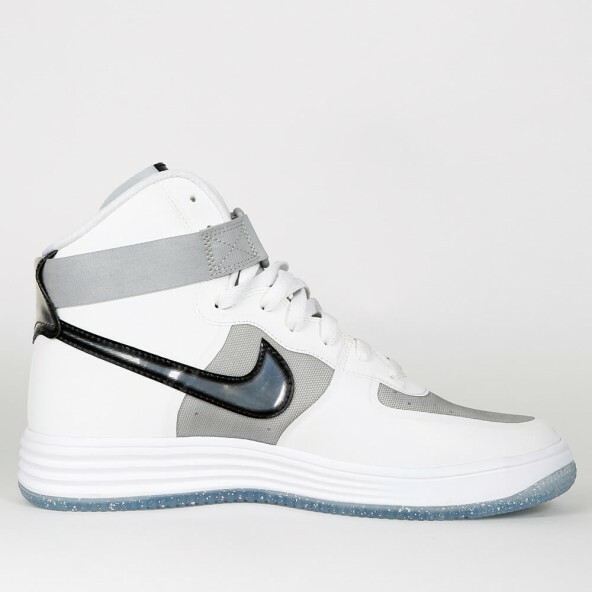 With a white synthetic upper and a reflective Swoosh on the side of the shoe every element is combined in the best way. 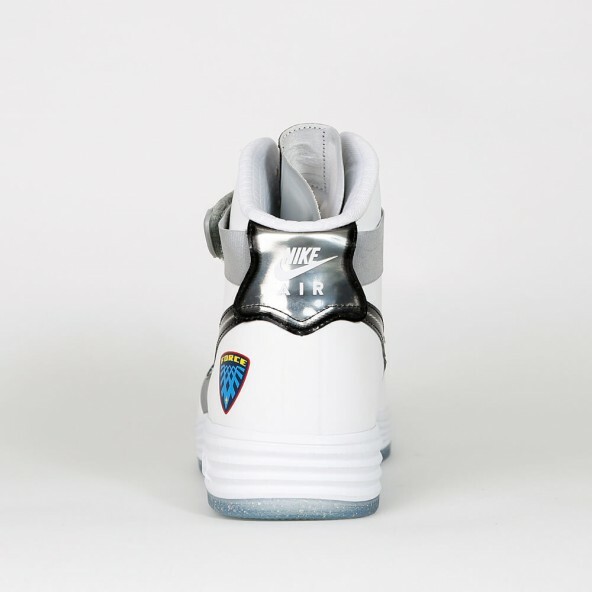 Besides the great design the sneaker also offers a great wearing comfort what's the reason why this sneaker is loved by so many people.